We are the leader in school carnival rentals in Colorado and have been renting carnival games since 2002. 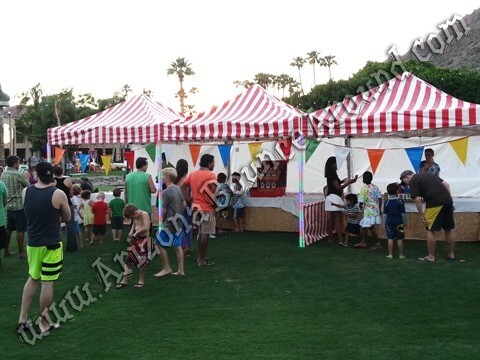 Our carnival tents and carnival booths are perfect for carnival games, face painters, concession stands, ticket booths, photo booths and so much more. We can supply all of your carnival rentals to put inside the carnival booth like tables and carnival themed table cloths not to mention a great selection of carnival games and carnival rental rides. We even offer carnival lights and string lights for night time use. Our carnival booths will make your carnival look like a real fair with the look and feel of the carnival. Add the smell of cotton candy and your all set. 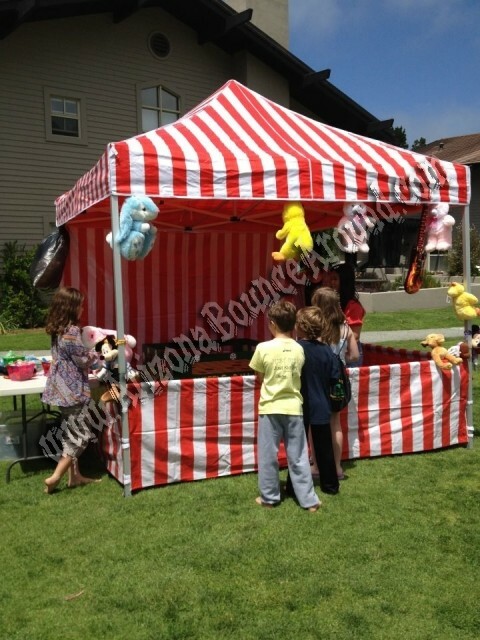 Rest assured that all of our products are professional quality and not homemade carnival booths. Need carnival entertainers like face painters, balloon twisters or pony rides? We have them all so call, click or come by today to start planning your next carnival themed event. We also offer stage rentals, event staff and complete party planning. We want to be your carnival rental super store and lots of legal items you will need from us to start planning your carnial are available for download here.